For Apple fans, there’s nothing more mouth-watering than when Apple releases a new version of their beloved products. Out with old and in with the new, Apple is constantly revamping and updating its line of products that sell by the boatload.We saw the new iPad come out, the slightly updated iPhone4S from the iPhone 4, and most recently we saw the introduction of the newest iteration of the Macbook Pro.It did not disappoint. \How could they make their Macbook Pro thinner and better looking? Defying the laws of…Whatever, they seem to have done just that. With this new Macbook Pro, you clearly see how much better this one is than its predecessor. But at a cool $2,200 for the base model and $2,799 for the beefy model, are all the cool nuances worth such a high price? For most, probably. A majority of the computer world will tell you that you can get a computer with the same specs as the Macbook Pro for half the price, and they’d be right. But do you get the same build quality? Definitely not. If superb build quality and the Mac operating system are worth the premium to you, you’ll be glad to know that this puppy packs a punch, both aesthetically and under the hood. Not bad at all. But for $2,199, you wish Apple put a better video card in there, as you’ll struggle to play a lot of games with settings higher than medium. Other than that, everything else is quite nice, and I’m glad to see a solid state drive come standard from now on. The future is here, folks! No more spinning, crappy hard-drives that are super slow! 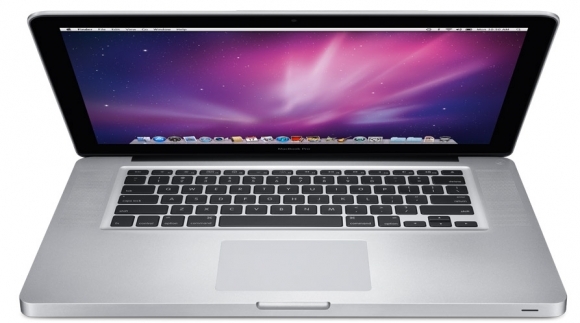 The Macbook is only 0.71 inches thick and comes in at a manageable 4.46 pounds. Impressive. For another $600, you don’t get much. The extra storage and miniscule boost in processing speed is not worth the substantial amount that Apple is charging. Steer clear of this version. In the end, the Macbook Pro lives up to its name: an expensive piece of technology that is on the cutting edge of design, functionality and coolness. The screen is great, the design is fantastic, it weighs peanuts, and you’ll look like a millionaire using this thing. Unfortunately, Apple still enjoys overcharging people by at least $500. If that’s fine with you, this computer will last you a solid decade if you take care of it. Decisions, decisions. So do let us know about your views on the Apple’s new Macbook Pro.Feel free to comment. Joe Petchonka writes a ton of articles on technology. In addition to that, he also helps people learn how to write in his spare time to make sure this world ends its war on grammar. Pretty Good information. I identified your submission on Yahoo. Its always nice to find good information when your searching for it.